- Shooting Star is an American rock band from Kansas City, Missouri. 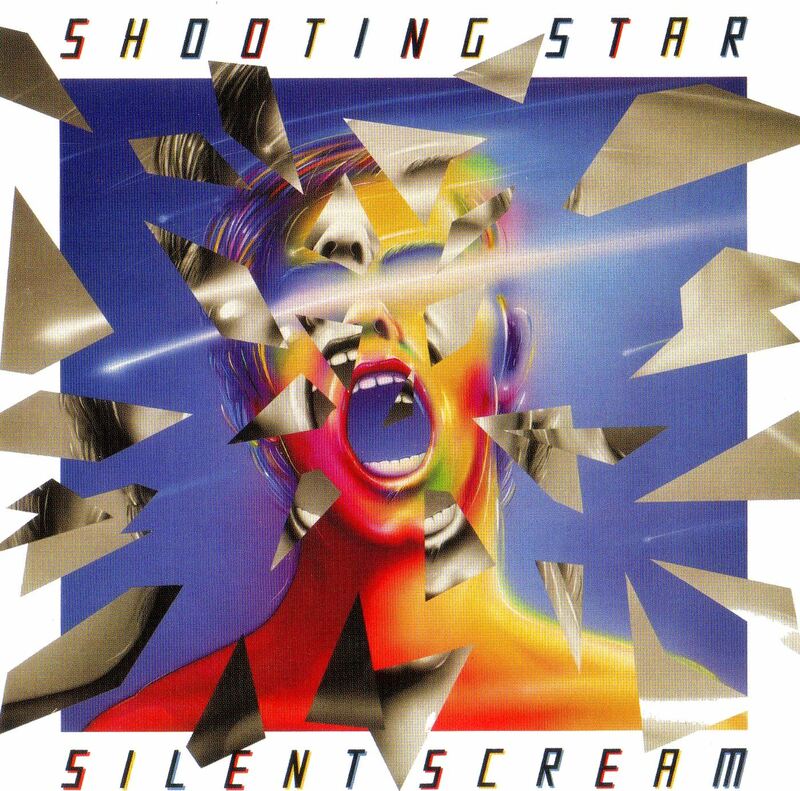 Shooting Star was formed by childhood friends Ron Verlin and Van McLain in suburban Kansas City. They were next-door neighbors and instantly became good friends. In February 1964, when the Beatles appeared on The Ed Sullivan Show, Ron and Van, like so many other kids around the country, were hooked and drove their parents crazy begging to take guitar lessons. They put a band together with their brothers, Craig McLain and John Verlin, and played along to Beatles records in Ron's dad's garage. Two years later, Van and Craig moved to a different school district and the band split up. Later that year, the band experienced the departure of bassist Ron Verlin, who had become disenchanted with the music industry. Bassist Norm Dahlor was recruited to take over for Ron, and the band began to record their fifth album, Silent Scream, with producer Ron Nevison. It was released in April 1985 and produced the radio hit "Summer Sun." The band's accompanying music video was popular on MTV and other video channels. Van, Norm and Steve were also the backing band on Ian Hunter's single "Great Expectations." The band then toured with Heart, Bryan Adams and ZZ Top. Shane Michaels joined as the band's new violinist in May 2000, replacing Christian Howes (1999–2000), who had replaced Terry Brock. Original drummer Steve Thomas returned to the fold in late 2003 and singer Keith Mitchell left in the summer of 2005 after reported voice problems. Shooting Star was inducted into the Kansas Music Hall Of Fame in 2009. The band performed with the McLain, Thomas, Lafoon, Platt, Jameson lineup, with special guest Ron Verlin on bass, and for two songs, original vocalist Gary West. Other former members were on hand that evening, but did not perform. Van McLain spent the first part of 2012 focusing on a solo project to be released by Alligator Records before returning to Shooting Star in the second half of 2012. Keith Mitchell returned as lead vocalist in 2012 but left again in 2013 due to health problems. Janet Jameson also left the band at this time. Todd Pettygrove then joined in June 2013 as the new lead singer. - Kansas City's SHOOTING STAR enjoyed the attentions of the emerging Virgin label as one of their first Hard Rock signings. 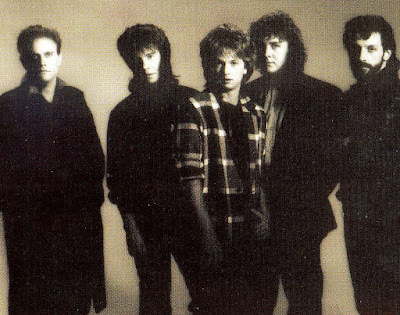 Fronted by former THE BECKIES member Gary West (known as Gary Hodgden in his previous outfit), the brother of MISSOURI's Ron West, SHOOTING STAR was dispatched to England to record their debut album with noted producer Gus Dudgeon. The initial, self-titled effort, released in 1980, found SHOOTING STAR comprising West alongside songwriting partner guitarist Van mcLain, bass player Ron Vernin, violinist Charles Waltz and drummer Steve Thomas, with the addition of keyboard player Bill Guffey. This version of the group remained intact for the second outing, the Dennis McKay produced 'Hang On For Your Life', which reached no. 91 on the US album charts, eventually selling over half a million units. By the time of recording the Kevin Elson produced third album, 'III Wishes', Bill Guffey was no longer involved. The band's national profile improved in 1984 with the inclusion of two tracks, 'Take It' and 'Get Ready Boy' for the movie soundtrack 'Up The Creek'. The 'Silent Scream' album found Norman Dahlor replacing Van McLain. The record was produced by Ron Nevison, with some tracks worked on by Greg Ladanyi. The band regrouped in 1991 with a brand new album, 'It's Not Over', and a revised line-up. Gary West had left the group and been replaced by Keith Mitchell. Dennis Laffon also joined the group on keyboards as did drummer Rod Lincoln and a live album followed. The band would still be active although although a projected American tour in 1997 with NIGHT RANGER was cancelled due to McClain being taken ill. SHOOTING STAR bounced back with the album 'Leap Of Faith'. Originally issued in 2000, the record was re-issued two years later adding the poignant track 'Let's Roll', a NEIL YOUNG cover version inspired by the final words of 9/11 hero Todd Beamer. SHOOTING STAR lost the services of Keith Mitchell in August 2005. Q.Hi there, first let's get back to the late 70s, what were your first music experiences (as in when did you start with playing an instrument, or wanted to become a musician)? A. i started playing guitar when i was 6 years old the next day after i saw the beatles on ed sullivan. i played in bands through school in kansas city. when i was 18 years old i moved to london england with ron verlin our bass player. we formed a band and looked for a record contract. we did a demo of a song i had written called take the money and run. arista/bell records signed us on the strenghth of that song and we recorded a single. we did it at the famous morgan studios (rod stewart,yes ect.) and we were really excited being a bunch of guys from kansas city. about 3 weeks before it was to be released steve miller came out with his song take the money and run ,same title different song, and that killed our record deal. Q. Did you play in a band before SHOOTING STAR? A. only garage bands around kansas city. nothing exciting. Q. When did you form SHOOTING STAR? A. we recorded the first album with gus dudgeon (elton john, chris rea) at his private studio in the english coutryside. it was one of the most beautiful places i have ever seen. it was an old millhouse on the thames river that gus had totally redone and built a world class studio. there were swans on the water and a waterfall. it was incredible. gus was a great producer and really great to work with. when the album was released in the US we had modest success with the first single but nothing great. we toured with robin trower and cheap trick for about 6 months but when the single faded we headed back to kansas city to start writing the next album. Q. Your music was 'pompy AOR', which bands influenced you (KANSAS, JOURNEY and SURVIVOR I guess)? A. our biggest influence was the beatles. we really werent influenced by kansas but everyone thinks that because we had a violin player. we liked 70s genesis and yes. believe it or not we loved ac/dc and i think that showed up on our 2nd album hang on for your life. Q. One year later 'Hang on for your life' was released, another great album that went into the billboard hot 100 LP charts, please tell us all about that record? A. we recorded that album at randy bachmans of BTO home studio in linden washington with dennis mckay. we were pissed off at our managers for screwing us and pissed off at virgin and i think that anger came through in making hang on for your life really rock! that album stayed on the us album charts for over 1 year and helped us build a loyal following even though the record companies failed to deliver a hit single. Q. Did you play live by that time, if so, with which bands, and tell us funny stories about bands you played with? A. we toured for an entire year opening for jefferson starship,zz top, molly hatchet, blue oyster cult and foghat. we also headlined clubs and were the #1 drawing band in1982 for small venues in the US. Q. '3 wishes' from 1982 was maybe one of your most succesfull releases, please tell us all about it? A. we recorded 3 wishes with kevin elson (Journey) at fantasy studios in berkley california. kevin became a good friend of ours and we had a really great time in the studio. lots of practicle jokes. we had the guys from journey working in the studio next to us. we would sneak in to there studio and turn the heat up as high as it would go. Q. 'Burning' is not your strongest release, but still it contained some great songs, why did you put the cover "Reach out I'll be there" on that album? A. we just always liked that song and we used to play it in the bars in kansas city. we tried it in the studio one night and we thought it sounded cool. We werent really thinking of what people would think. we just liked it. Q. In 1984 you did two songs for the movie 'Up the creek', please tell us about them, and also how you got involved in the movie business? A. virgin was working with geffen records now as their US distribution. david geffen was and still is very involved with movies and they asked us to get involved with up the creek. we met the producer spencer proffer (quiet riot) and we recorded 2 songs,take it and get ready boy for the movie. get ready boy was going to be on silent scream but we went ahead and let the movie have it. We also got to be the backup band for ian hunter on a song called great expectations. that was really cool because we were big mott the hoople fans. when the movie came out we were really excited to see it and we were invited to the premiere. i thought the movie sucked and we were disapointed. it also came out the same week as poice acadamy which was a big hit in the states. the funny thing is up the creek still plays on cable tv all over the world and i still get royalties for that piece of crap! isnt life funny. Q. 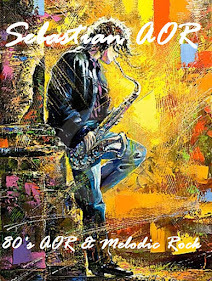 We're now in the year 1985, and you released your best album ever, the ultimate AOR classic 'Silent scream', an album that still to this day is held high here in the European AOR scene as an instant classic, everything just sounded brilliant, how did you get RON NEVISON as producer? A. we got ron nevison trough john koladner at geffen records. gary and i worked for a solid year writing those songs. we really put everything we had into making that record and we had very high hopes for that album. we had the US tour opening for heart when they were hot. the single summer sun came out and got 135 adds to radio the first week. it looked like it finally was going to break big for us and something happened and i still dont know what but i think virgin ran out of money. i read richard bransons book and he says they were out of money around this same time period.the lables wouldnt return our calls. kalodner wouldnt return our calls. what looked like a sure fire hit dried up and died. we were devestated because we felt this was the best record we could ever make. I guess in europe it did well but not well enough to keep us going . gary west decided to get out of music altogether because of his disapointment. even though we made our best record it didnt pay off and i blame virgin records for this. 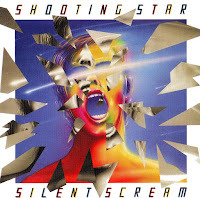 A. silent scream was recorded in england,malibu california, san fransisco california and los angelas california. we had a lot of fun recording it and got to travel to a lot of great studios to make it. lying on the beach in malibu in the morning and recording at night was really awesome! we had been touring alot and i think we were just on our game when we made that album. when we were cutting basic tracks in england we were in touch with the engineer of our first album, stewart epps. he was working with jimmy page on the firm album. we decided to have a competition with who would finish tracks first. i dont think the firm knew but we knew through stewart what tere progress was we won the competition easily and we were feeling pretty cool until stewart told us that all of paul rogers scratch vocal tracks were kept for the album . What an incredible singer! oh well at least we beat them at something. A. i know it sound like an excuse but we should be the poster boys for "stay away from bad record companies" we just never had a push from virgin like other bands got. Was it money? i dont know you will have to ask them. Q. Anyway, then it became quiet around SHOOTING STAR, what did you do between 1985 and 1989? A. gary and i wrote some songs but gary just wasnt willing to trust record companies with his life any more so he got out of the music business and started his own company doing house inspections. Q. In 1989 a best of was released, and it also included the fantastic new song "Touch me tonight", a superb AOR song, please tell us all about it, and I believe it was made for a movie right? A. in 1989 none of our albums were available on cd. ron verlin our bass player and i decided to press up 10,000 copies and sell them over the next year or so . we added a new song i had written called touch me tonight. it had a new singer keith mitchell. we sold all 10,000 copies in 1 week. enigma records asked us if they could take over since we were selling it out of our garage. we made a video and it made it to #1 on mtv requests. the cd sold very well and was by far our most succesful release we toured with bad english and brian adams. everything was looking great until enigma went bankrupt. they had spent a huge amount of money on the christian heavy metal band stryper. it didnt sell and it took them down. that really sucked because they were a good small lable that believed in us. Q. 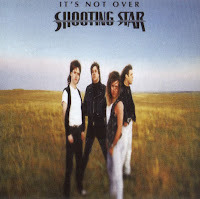 2 years later SHOOTING STAR returned with a complete new CD entitled 'It's not over', a superb pure AOR/Melodic Rock release, please tell us all about it? A. we had already started recording its not over in our studio in kansas city. i produced it myself and we decided to go ahead and finish it on our own. we sold about 100,000 copies on our own lable and we toured with alot of different bands but it was right when grunge was coming out so sales started to slow down .it really was the first album for keith mitchell,dennis laffoon and rod lincoln. Q. In the early years you had a violin player, why did you drop him on the 'It's not over' release? Q. I also heard that Gary West wasn't involved with the band anymore back then, but still he played on the 'It's not over' release, right? Q. You were quite popular in your state Kansas, I believe you even played as headliner in 1989 for more than 16,000 fans! A. we are still very popular in about 20 us cities. wherever we are still getting radio airplay. we just played about 10 dates in 2000 seat halls in the us as headliner. all but one show was sold out. Q. Anyway, then it became quiet again, although your label V AND R RECORDS did re-issue all 5 albums onto CD, please tell us about those re-issues? Q. Where was the 'Live' CD from 1992 recorded? A. in kansas city at a large theater. Q. You toured with NIGHT RANGER in 1997, can you please tell us all about that tour? Q. Last year you released a complete new CD entitled 'Leap of faith', can you tell us all about it? A. i was at a party in nashville tennesse and i ran into kevin beamish (produced reo speedwagons big albums) he asked me what i was up to and we decided to do a new album together. This is our newest release leap of faith. Q. Is this last CD going to be issued through a bigger label, and do you have connections with Europe to release it over there? A. we are trying to find a label to help us in europe. we also would love to tour in europe because we never have but we have no idea how to go about it. Maybe some of these things will get straightened out soon. Q. Have you been writing new songs yet, will there be a new album in the future? A. i have been writing new songs and we will probably do a new album later this year. we are doing a lot of touring this summer so it will depend on when we come off the road. A. we are going to play as much as we can in the coming months. we want to get the word out that the first 5 albums are available on cd. i do alot of producing other bands in my studio and i have several projects coming up after our tour. this is going to be a big year for shooting star!